Every backyard pitmaster wants to master barbecue ribs. There’s something magical about ribs that makes people dedicate their whole lives to perfecting their recipe. 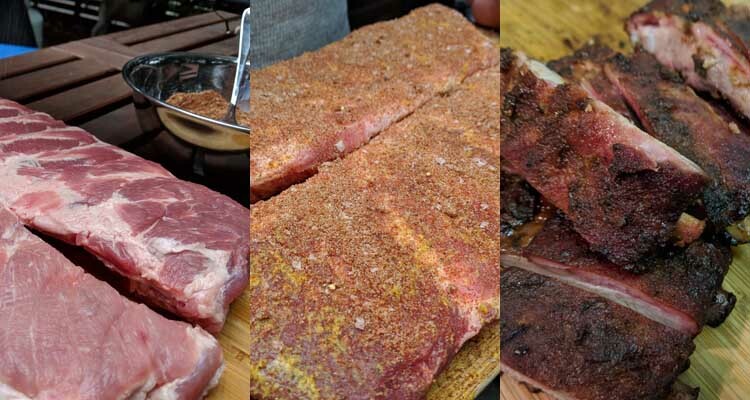 There are lots of great rib recipes out there (like own guide to competition style ribs), but I think learning about the pros and cons of each cooking methods is will help you perfect your own rib recipe. Should you Cook your Ribs Naked, Sauced or Spritzed? Should You Wrap Your Ribs? Before you can start thinking about applying your rub, you need to get your ribs ready. This means trimming them into an even shape and removing the membrane. If you’re not sure what type of rib to use, we have a detailed guide to the different types of pork ribs. 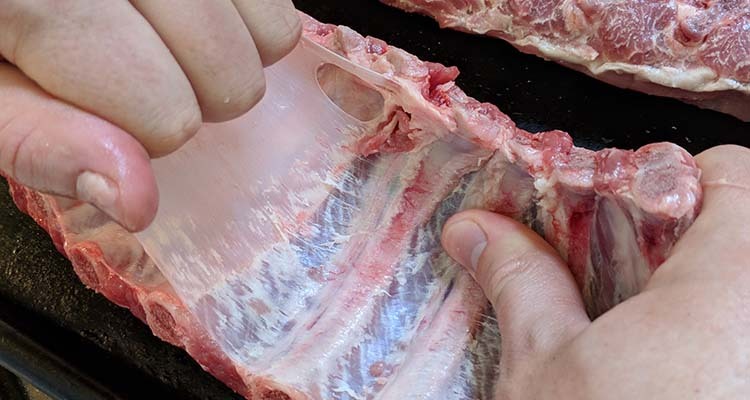 Regardless of how you plan to cook your ribs, you should take the time to remove the membrane. For the uninitiated, the membrane is a thin layer attached to the surface of the inside of the ribs. It looks a bit like latex. When cooked hot and fast it becomes tough and chewy. When cooked low and slow it becomes rubbery. Also, if it is not removed before cooking, the fat underneath it cannot drain away. Thankfully, it is not hard to remove. All you need to do is slip the tip of a knife or the end of a spoon under the edge of the membrane to get some leverage, and pull it up. 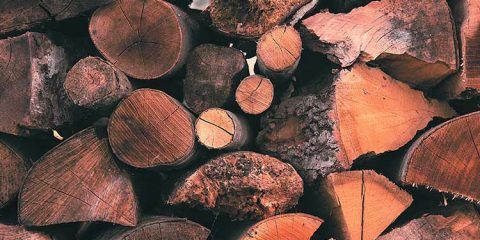 If you are lucky (or have done it a few times before) you might be able to get it off in one piece, but don’t be surprised if you need to take it off in two or three strips. A good tip is to use some paper towel to get a good grip on the membrane. It is slippery, and pulling it off with your bare hands is likely to end in frustration. 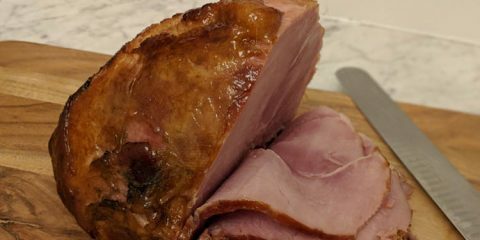 Generally trimming involves taking off any stray flaps of meat that you find hanging off your ribs. They will only burn, and won’t taste good. You might also look for excessively fatty parts on the ribs and slice them off too. If you are cooking for friends, you need not be too fussy when trimming up your ribs. Of course, it is a different story if you are preparing ribs for a competition. There are lots of ways to cook ribs. You could even boil (shudder) your ribs before grilling them. 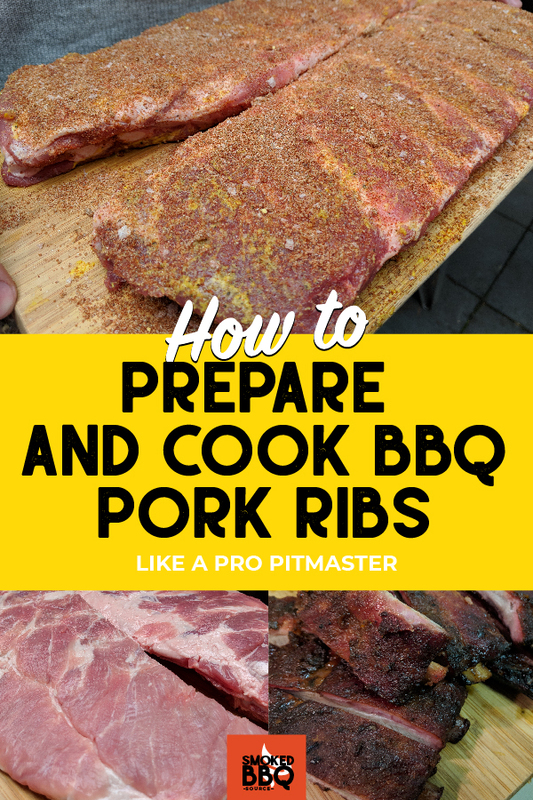 In this guide we’re focusing on the best methods to prepare ribs for low and slow cooking. Let’s have a look at some popular ways to cook ribs low and slow. The name 3-2-1 is a description of the cooking times required for each stage of the cook. Three hours smoking unwrapped, two hours wrapped, and then one hour unwrapped again. When we say wrapped we mean wrapping the ribs in aluminum foil. This method is also sometimes referred to as the ‘texas crutch’, a way to tenderize and increase cooking speed. The 3-2-1 method is a popular way to cook ribs because it makes it hard for them to dry out, and it produces a style that most people will love. As long as you stick to the method, the ribs will not be tough or dry, but rather fall-off-the-bone tender and juicy. While competition judges and some pitmasters are not so keen on fall off the bone ribs, your only judges are going to be your friends and family. And most backyard food critics like their ribs to fall off the bone. 3-2-1 ribs are a good starting point if it’s your first time cooking pork ribs. From there you can modify your method to suit your individual preferences. When using the 3-2-1 method, you can still add flavor just as you like it. A crucial point is the wrapping. At this stage of the cook, you can add whatever flavor you like. Your ribs will then have a couple of hours to sit in these flavors and really soak them up. Start by removing the membrane. Season both sides of the ribs with a rub of your choosing. If you are after a great rub recipe, have a look here. Set your grill up for indirect smoking. You will want to reach 225-250°F. Place the seasoned ribs in the smoker, put on the lid and let them smoke for 3 hours. After 3 hours, take out your ribs and place them on a piece of foil big enough to wrap the ribs securely. Make sure you sit the ribs meat side down, so that the bones don’t tear the foil. After your ribs have been cooking for 3 hours it is time to wrap them. 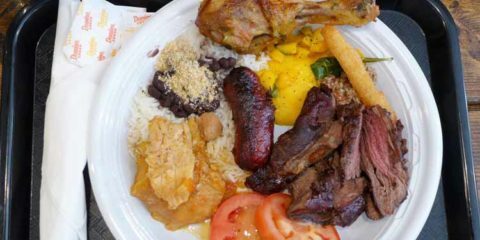 This is the point at which you can add some extra flavor according to what you like. If you are a fan of rich, sweet ribs, you can check out the video below from Malcom Reed of howtobbqright.com. He adds some butter, brown sugar and honey before he wraps the ribs up. Alternatively, you could replace the honey with Apple Cider for a hit of tartness. Once you have added your sauce, time to throw them back on the heat. Seal up the foil so that it is airtight. Place the wrapped up ribs back in the smoker, with the temperature at around 225°F. Let the ribs cook like this for a further 2 hours. Open up the foil to check if the ribs are done. You can do this by wiggling the bones. They should feel as if they could be pulled out of the meat without much resistance. Be careful not to get burnt by the steam that escapes as you unwrap the ribs. This is another point at which you can stamp your individuality on the ribs. Brush them with your favorite barbecue sauce before for the final step of the journey. After brushing the ribs with sauce, sit them back on the grill, bone side down, and finish off the cooking at 225°F for 30 minutes – one hour. As we mentioned, not all pitmasters are fans of the 3-2-1 method. We should point out that the vast majority of people will love the tenderness and flavor, and won’t care about this issue. The issues with the 3-2-1 method comes down to the amount of time that the meat spends in the foil. 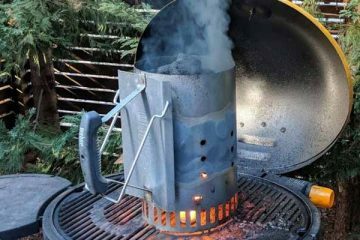 Steven Raichlen, of barbecuebible.com, has a solution. He suggests a 3-1-1 method might be a better approach. As the name suggests, the ribs are cooked in the foil for 1 hour instead of 2. Aside from this slight adjustment, the method is the same as the 3-2-1 approach. Most people like the sound of ribs slathered in sauce. And we’re not saying this is wrong by any means. But it is worth considering your options when it comes to finishing off your ribs. One option is naked ribs. Sounds sketchy, but all it means is you don’t flavor your ribs with anything – just let the flavor of the meat itself and the smoke shine through. 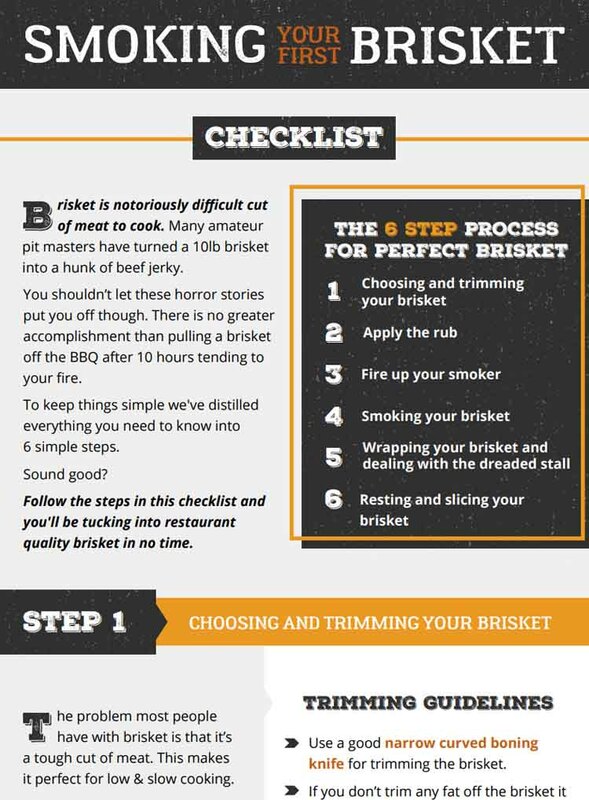 To accomplish this, follow the steps we have discussed, but take a pass on the rubs, mustards and sauces. Some pitmasters will still use some salt and pepper. But just how naked you like your ribs is a decision only you can make. If you are still keen to use some sauce, instead of slathering it on think, why not try sizzling the sauce. “Now here’s a trick I like: Sizzle on the sauce. Put the ribs with sauce directly over the hottest part of a grill in order to caramelize and crisp the sauce. On a charcoal grill, just move the slab over the coals. On a gas grill, crank up all the burners. 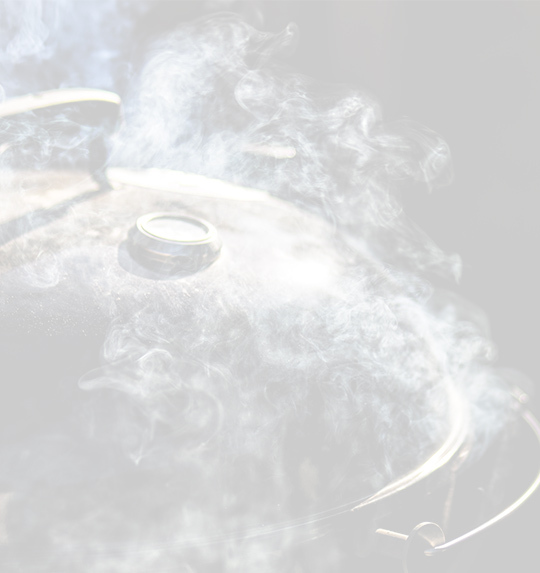 On a water smoker, remove the water pan and move the meat close to the coals. On an offset smoker, put a grate over the coals in the firebox and put the meat there. With the lid open so you don’t roast the meat from above, sizzle the sauce on one side and then the other. This is certainly a good way of making sure you don’t lose any drips of your favorite sauce. While it can be easy to fall into the trap of believing more is more when it come to flavor in barbecue, a small amount of well adhesed, caramelized sauce is sure to bring something special to any barbecue. Don’t let yourself be bullied into spritzing your ribs just because you think that is what you have to do. In fact, there is a case both for spritzing and not spritzing. 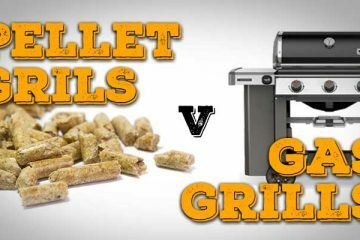 And whether it is right for you really comes down to how you like your barbecue. If you prefer your ribs with a crunchy, spicy crust with more of a punch, skip the spritzing and mopping. 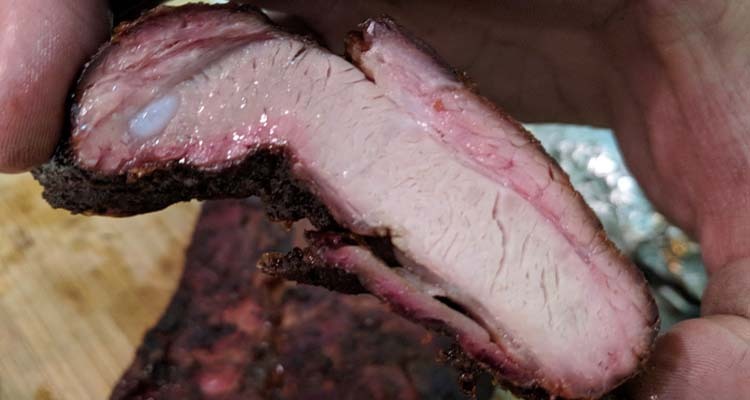 If you like your ribs a little plumper with a more subtle flavor, then perhaps spritzing or mopping is something you might want to add to your rib smoking routine. We have covered a lot of ground so far and there is a lot of information to absorb. However, some of you may still have a question hanging around in the recesses of your minds. There just seems to be so many ifs and butts about it (mind the pun). The bottom line is this. 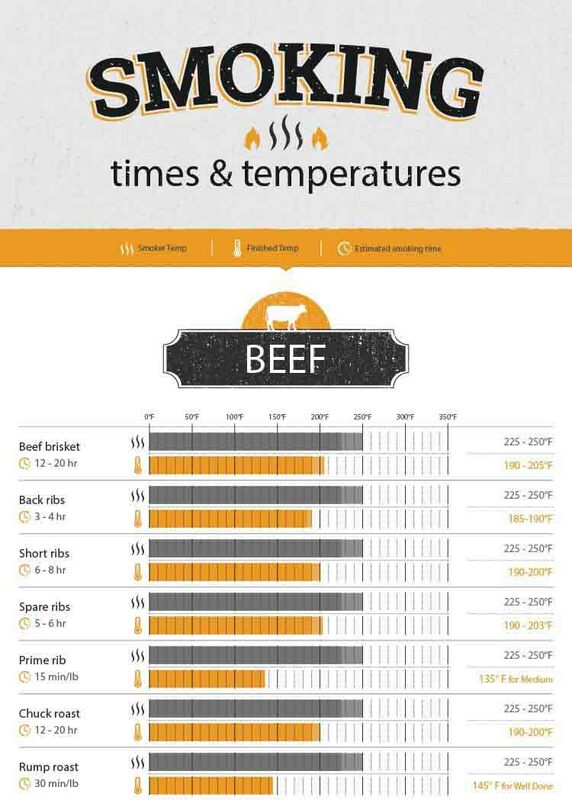 Yes, wrapping your meat will speed up the cooking process and tenderise the meat. But, there is a fine line between tender meat and soggy meat. In a similar vein, wrapping can make your crust rubbery – and a rubbery crust is not appetizing at all. If you don’t wrap right, soggy meat and a rubbery crusta are a real possibility. 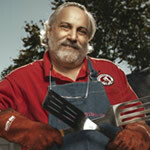 Barbecue pros like Steven Raichlen and Meathead Goldwyn are both wary of being too liberal with the Texas Crutch (or wrapping the meat). While it does have its place in competitions, perhaps you would do well to skip the 3-2-1 method at times and see how you go without wrapping, you might be surprised at the results. There all sorts of calculations that we could go into here that take into account time, temperature and height above sea level. But knowing whether your ribs are done is really quite straightforward. When you think your ribs might be done, pick them up with your tongs in the middle of the rack. They should bow. At the point where they bend, have a look at the meat. There should be visible cracks in the bark. A small crack means you could let them cook a little longer, but a large, deep crack means they are done. They should look as if they might almost break in two, and the ends of the ribs should still be touching the grill plates even though you have lifted the rack in the middle. Don’t be concerned if your ribs are done at different times. This is quite normal. If one rack is done before the others, wrap it in some foil, wrap a towel around it and stick it in a cooler (minus the ice, obviously). This should keep your ribs at the right temperature until the rest are ready to go. There’s no one best way to prepare barbecue ribs. From our experience, if you are cooking for an average crowed, the 3-2-1 method will give you the best results. But you are free to experiment, try and tweak the times and what you put in the foil when you wrap. Do you have a secret tip for preparing ribs? Let us know in the comments below.